out next move was to enter into the manufacturing of bitumen. The bitumen market was showing a lucrative growth as on one hand our country was experiencing one of highest growth in constructive of new roads while on the other hand maintenance of existing roads was also on rise. Apart from road construction and paving, bitumen was being tried for various other applications such as water proofing, insulation, paints used in auto industries, pipe coating etc. Better resistance to permanent deformation. Lower life-cycle cost & Less reflective cracking. Used in Auto industries & Anti Corrosive paints. Brij Chemicals, we manufacture the bitumen emulsions as per the requirement of our client that vary according to the application of bitumen and the climatic conditions. 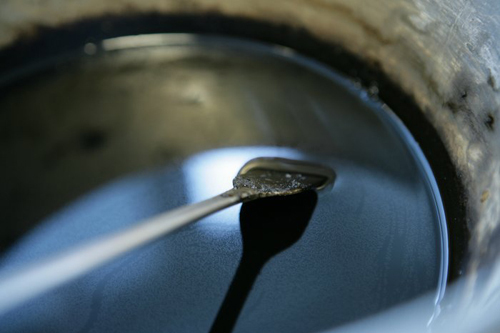 We manufacture both anionic and cationic bitumen emulsions. .
By now bitumen had become a highly technical product and technological advances had led to the IINOVATION OF MODIFIED BITUMEN that was proving as a ‘BETTER BITUMEN’ as it was to cope with specific needs and climate conditions and remain cost effective over the life of the road. This market growth and technological advancement propelled us to penetrate further in the bitumen market. In the year 1990, we started Brij Chemicals and within a short span, this manufacturing facility established itself as one of the leading suppliers of industrial bitumen IS: 702, Grade 85/15, 90/15, 115/15, 135/1, 155/6 and by-products. Bitumen is primarily used for paving roads. Bitumen is a semi-solid hydrocarbon product produced by removing the lighter fractions from heavy crude oil during the refining process. 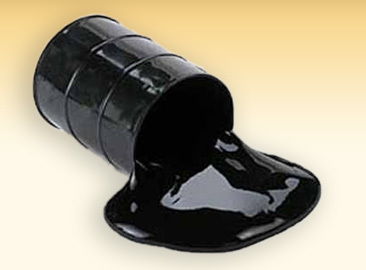 Industrial Grade bitumen IS: 702, Grade 85/15, 90/15, 115/15, 135/1, 155/6. Better handling and improved adhesive qualities of this highly viscous product. More durability due to double bonding of bitumen with the aggravate. Emulsified bitumen can be used at ambient temperatures, as a cold process for all the phases of construction and maintenance. Emulsified bitumen can be used at ambient temperature, as a cold process for all the phases of construction and maintenance. Emulsification keeps the bitumen in a workable condition for long. Emulsified bitumen has widened the scope of applications; bitumen now has approximately 200 commercial applications. Most important, emulsification of business has reduced the load on environment as it has reduced the need for continuously heating bitumen in the hot-mix process. Emulsified bitumen has improved the overall conditions for the labour.